Some of us have the cable company set up our Internet, which we assume as safe. Maybe you also get a Wifi router, which you think you add even more security to your system. But these devices don’t deal as much with security – only to get you online. you need something that will tell you what is coming into your Internet home and even block the bad. That is where Cujo comes in. The more you have connected to your “Smart Home”, the more a device is needed so others cannot use this door to come in. All you need to do is click a link in an email that looks official. Or maybe you get a new device that you instantly connect to your network, and put all your passwords in, thinking it’s safe. Next thing you know, your computers,smart thermostat, lights,smart TV, and many other devices could be locked up, waiting for a Ransomware price to be paid. 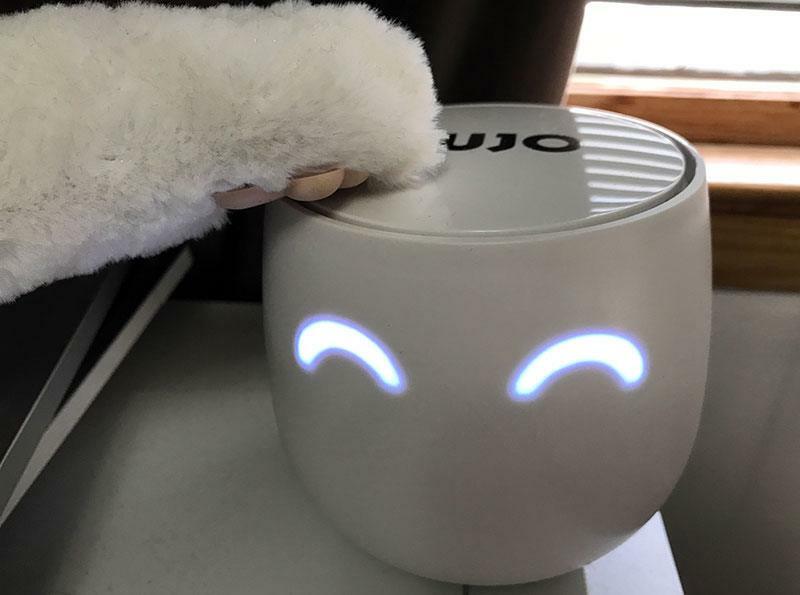 Dubbed the smart firewall for the connected home, Cujo is designed to give you a business-level security feature. Since many homes are starting their own home-based businesses, this will even help ensure your records can be safe from phishers, hackers, and other cyber-instrusions. Whether it for home use or business use, Cujo will detect, and block malicous sites, viruses, and hacks. It can even control what your kids access online, keeping them safe. This is the best part: Installation is rather straightforward. Simply plug your Cujo into the Internet router or modem, then follow the instructions on the website. 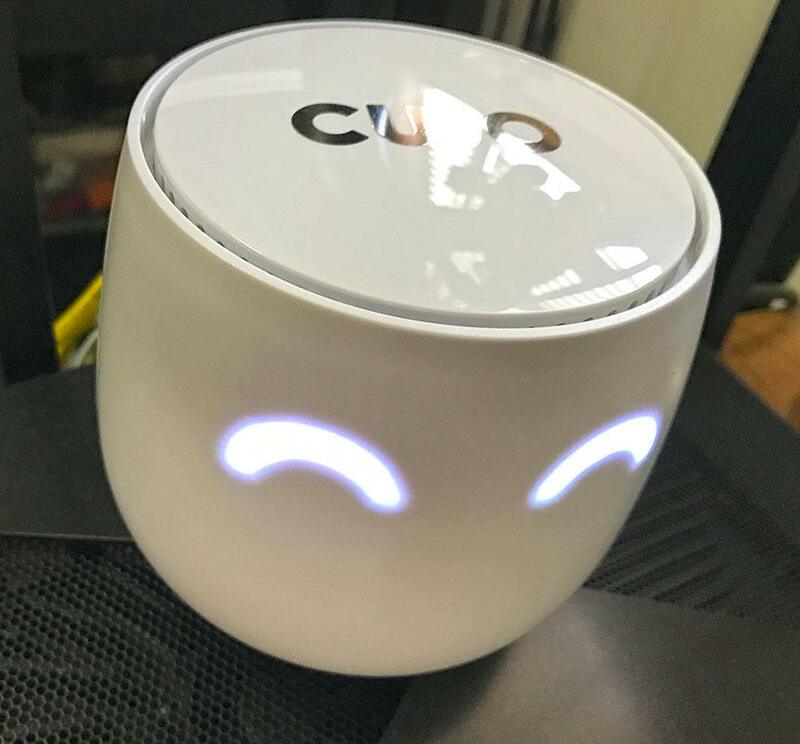 Cujo will inquire on each device that gets added into your network, then monitors for any issues. You can set up right from your router, or pass through from modem to Router. Cujo ports are 1 GB Ethernet, so it can collect and send data through your network as fast as possible. Your phone will then not only get alerted if new devices come onto your home network, but also if any malicious content passes through. Everything can be controlled through the app on your phone, including the ability to shut it down. Cujo will only send to your phone, which you indicate in the initial setup. I got this unit only a few days before I left for Barcelona, Spain. Since I have computers running while away, I was able to run tests and see what was going on at home. 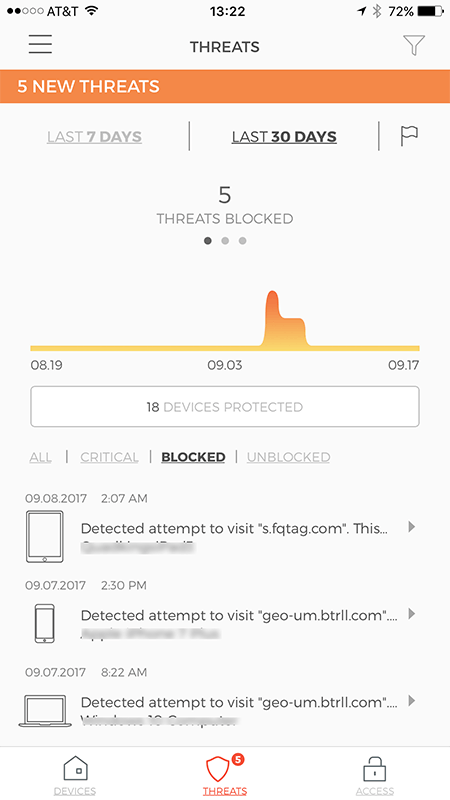 As my brother came and went (to feed the cat), I was able to log his devices, and get alerts if malicious sites were being accessed. We also read a lot in this house. The best part is Reddit. However, some Reddit sites will take you to unsecure content sites. Cujo will block, and send a message to my phone whenever that happens. I was a little concerned it would take over my DHCP table, but the acclimation was issue-free. I even found a computer on my network that had some malware on it, and was able to clean the device. Cujo Smart Firewall is $249 and available at BestBuy. You can get Cujo here. Got questions on Cujo Smart Firewall? Ask me, and I’ll do my best to get you answers!